INARI been consolidate sideway & forming bolinger band squeeze. If retrace down, immediate support would be MA50 level. 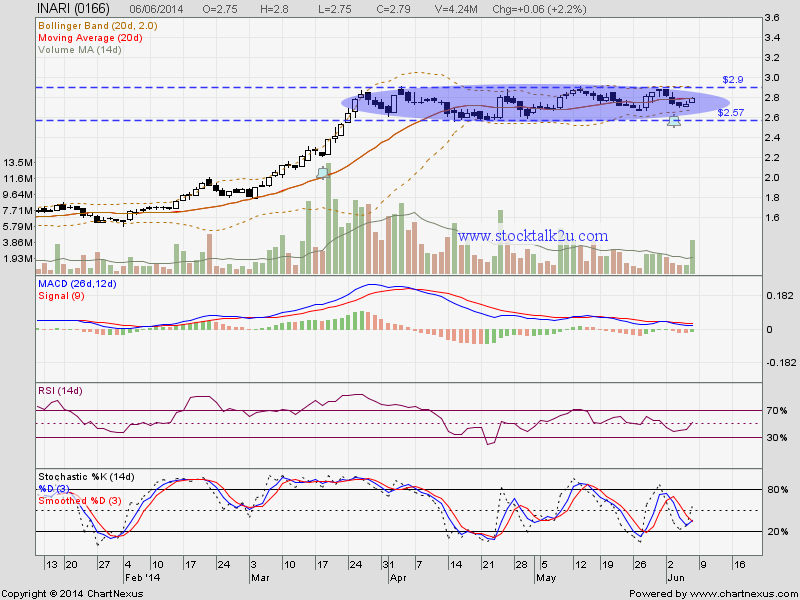 Subsequent support @ RM2.57 level.